Dr Boris Liberman is one of the world’s leading experts in membrane technology. 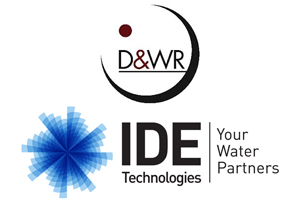 Together with his team at IDE, he has invented the next generation of water reuse technology that significantly reduces chemical consumption, while maintaining efficiency and reliability. Sign up here for this free webinar to learn about this technological breakthrough. Dr. Liberman joined IDE in 1993, and held various position in the company prior to assuming his current position as VP and CTO for membrane technologies. As CTO he leads the company’s R&D activities in the RO field. Dr. Liberman is responsible for several industry technological breakthroughs including the Pressure Center Design, the patented Direct Osmosis Cleaning enabling membrane cleaning without stopping the RO train, green desalination allowing desalination without the use of chemicals, and 16” membranes in a vertical array. He is extremely well known and respected in the desalination field and regularly speaks at leading industry conferences and events. Dr. Liberman holds a B.A. and M.S from the Civil Engineering Institute Rostov-on-Don, USSR and a Ph.D. from the Institute for Scientific Research in Water Supply, Moscow.